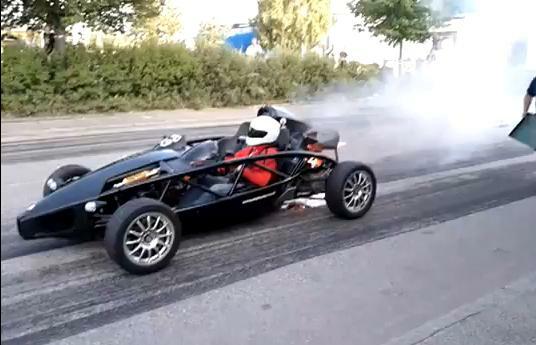 This Ariel Atom caught fire at the Västerås Street Racing event in Sweden. As the vehicle was starting, smoke started bellowing out of the engine compartment, eventually causing a fire. The driver doesn't seemed fazed by the incident but when he does get out of the car, we find out that he's wearing jeans. How hard is it to acquire a fire-resistant racing suit?